The chest is, without a doubt, the largest target on a body going into battle. Luckily, if you shopped at Medieval Armour beforehand, you'll already have an edge in the form of steel body armour. 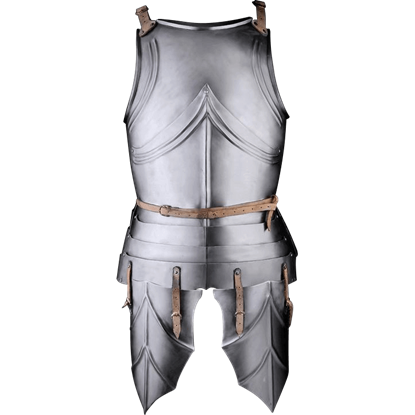 Fully protected by the steel cuirass or harness of your choice, you can advance into the enemy ranks without fear, knowing that your torso is well-protected by layers of steel armour. 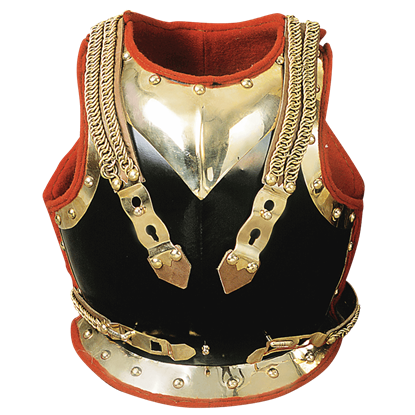 We offer a wide selection of fully functional body armour that is designed to not only keep you safe, but replicate the look and feel of various historic and medieval classes of warriors, ranging from Roman soldiers to classic knights in their shining plate armour. 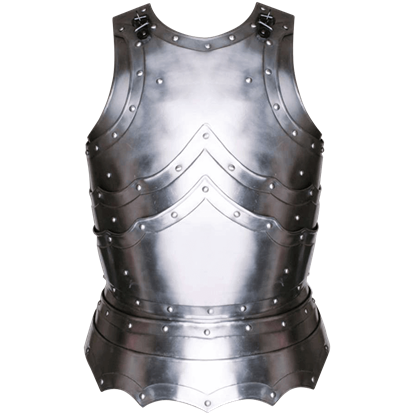 Our steel body armour comes in different shapes and forms, ranging from a typical steel breastplate or steel cuirass to the much-needed steel backplate, which when worn together wraps your torso in a complete layer of steel (or steel and leather, depending on the backplate chosen). Being made from steel, this is battle ready armour, making it perfect as both LARP armour (live action roleplay) and as SCA body armour. 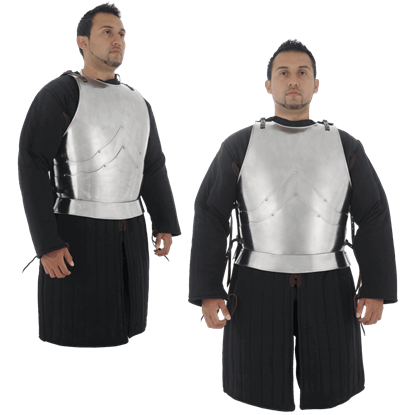 This steel armour comes in various different styles, ranging from classic medieval armour fit for any soldier to the gothic armour of later medieval knights, down to the classic Roman lorica segmentas that were favored by soldiers in the Roman Legion. 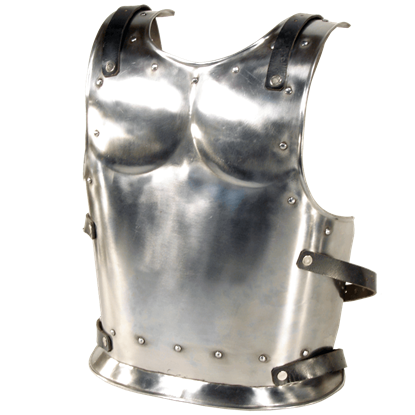 Fully functional and incredibly detailed, the steel body armour you'll find here at Medieval Armour is just the protection you need when you're planning to walk onto the field of battle, whether you're doing so for a stated production, a grand LARP battle, or even a reenactment with live or blunted blades! The armor of choice when it came to the 15th century soldier was a marked improvement from earlier eras. 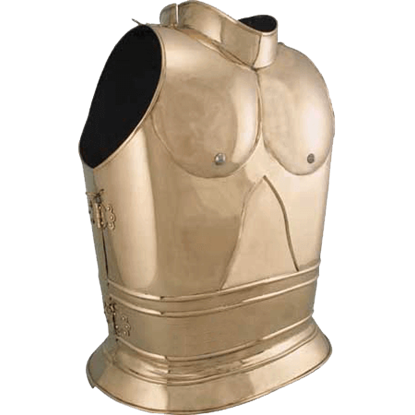 After all, this 15th Century European Cuirass certainly looks like effective armor, one that would afford a great deal of defense. An excellent example of German armour from around 1460-1500, the 15th Century German Cuirass combines ostentation, beauty, and protection into an eye-catching design. The steel cuirass features faulds hanging from the breastplate. Armor was not solely for battle. Victorious battalions were often paraded through the streets, and for such an occasion, parade armor, like this finely detailed Austrian Soldiers Parade Cuirass, was worn, to make an impression. The wise warrior never enters the LARP battleground with the back exposed. The Backplate for Dark Drake or Dark Warrior-Size Large safeguards your spine, allowing you to concentrate more fully on the adventure that lies ahead. While the adage, never turn your back on an enemy, is sage advice, it is often hard to follow. When a band of foes besets you, or an assassin sneaks upon you, the Backplate for Dark Drake or Dark Warrior-Size Medium proves its worth. Prepare for the customary stab-in-the-back at your next LARP event with the Backplate for King or Templar - Size Large. Enter the battleground in armour suitable for a noble or royal warrior, and protect your spine while doing so. When participating in a LARP battle, one never knows when ones friends, or rather frenemies, may try a surprise attack. 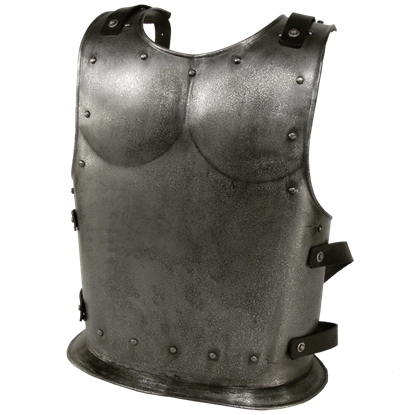 Be properly defended on every side with the Backplate for King or Templar - Size Medium to complete your armour. Prevent injury to your back and spine during LARP by wearing suitable armour. Whether you choose to be a warrior from a fantasy realm or a Templar knight, the Backplate for Warrior or Drake - Size Large has your back, literally. When adventuring into a LARP kingdom, be ready for whatever lies ahead, and for the occasional fool who may try to surprise you. The Backplate for Warrior or Drake - Size Medium prevents injury to your spine during said attacks. Enjoy the fun and excitement of a LARP battle, while avoiding unnecessary injuries. The Backplate for Warrior or Drake - Size Small features a design that emphasizes durability and safety, offering protection to your back and spine. 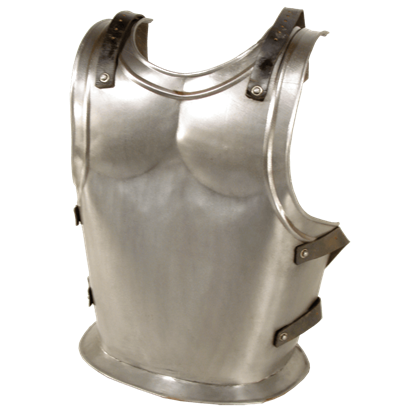 Made of polished steel, the Balthasar Cuirass is an excellent piece of torso armour suitable for LARP use or for other historical reenactments. Both breastplate and back plate are included, connected at the shoulder and sides.